When it comes to sports talk radio, there’s no other talent quite like Gary Radnich. 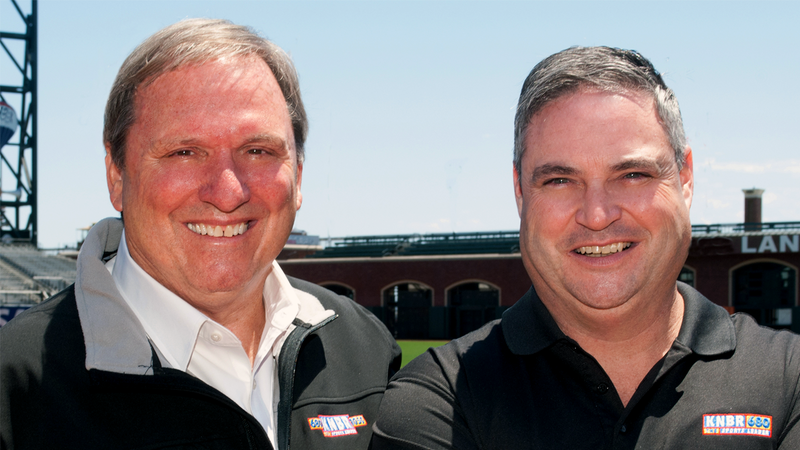 A veteran of 24 years behind the mic at KNBR, Gary has a style of interviewing and conversation that you have to hear to fully appreciate. He’s a true conversationalist, works his guests and callers like nobody else, and you can never predict what he’ll say next! If you’re lucky enough to ever see Gary on the street, ask him for a ride in his Bentley. He’ll say no, but it’s fun to ask. While Gary provides the wit and humor of the show, his partner in the 10 am-1 pm time slot, Larry Krueger, uses his almost encyclopedic memory to deliver the in-depth sports knowledge and keep Radnich off-guard. Krueger works more hours than most, as he spends his weekends hosting the 49ers pre- and postgame shows, and also hosts the Stanford football pregame show. Gary’s more “old school,” Larry is more “new school,” but they blend together to make a perfect radio show.